FLEX 2 combines all four temmates to work together as one single unit. All four teammates will be asked to contribute, communicate, and perform as they take on The Serpent! This is the long game: stretch your breathing, show off your gymnastics, and get down and dirty with an awkward object. This is the ultimate team event that will either make you or break you. The workout will finish with a Serepent relay run cash out: distance TBD. This workout is for time. The workout will begin with all four teammates sprinting for a buy in. Once they return they then pick-up the Serpent and begin with 40 Serpent Thrusters. The team can divide up the work however they see fit. Once they complete the Thrusters, they will advanced to the 80 chest to bar pull-ups. Only one partner will be allowed to work on the gymnasitcs at a time- the team can still divide up the work in any fashion. The team will advance through the workout. Once all the work is complete they will then relay run with the Serpent as a cash out. Distance will be provided at athlete briefing. 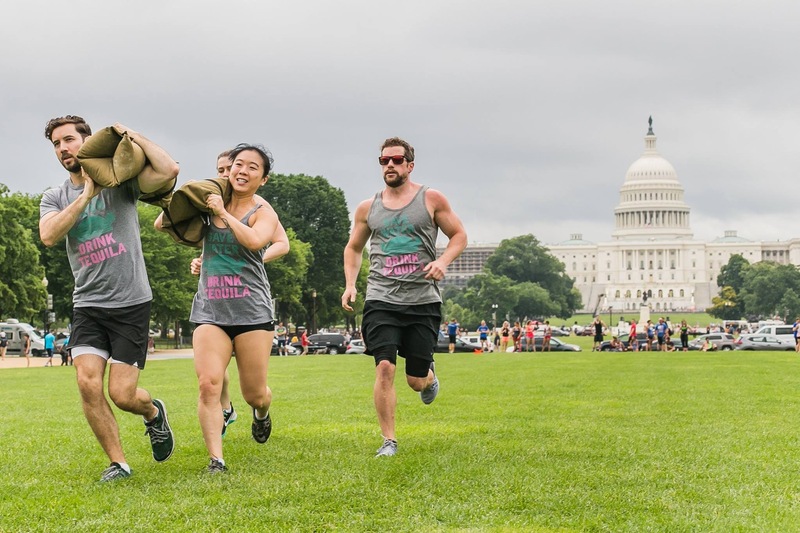 Serpent: A double-interlocked sandbag system. The male side will weight 70lbs, the female side will weigh 50lbs. 1. There must always be a male and female combination on the Serpent. 2. The Serpent must be off the ground at all times. If the team rest the Serpent on the ground, all work must stop until the Serpent is back off the floor again. 3. Only 1 partner can perform the gymnastics portion at a time. The work can be divided however the team sees fit. Serpents are the same for all teams. Ring dips will scale with hand-release push ups. Masters will be allowed to perform chest over bar pull-ups over chest to bar, and hand-release push-ups over ring dips. Knees will rise above hip level and heels must come behind athlete on the down portion of each rep.